Get that chilled off-duty vibe with this sweater. 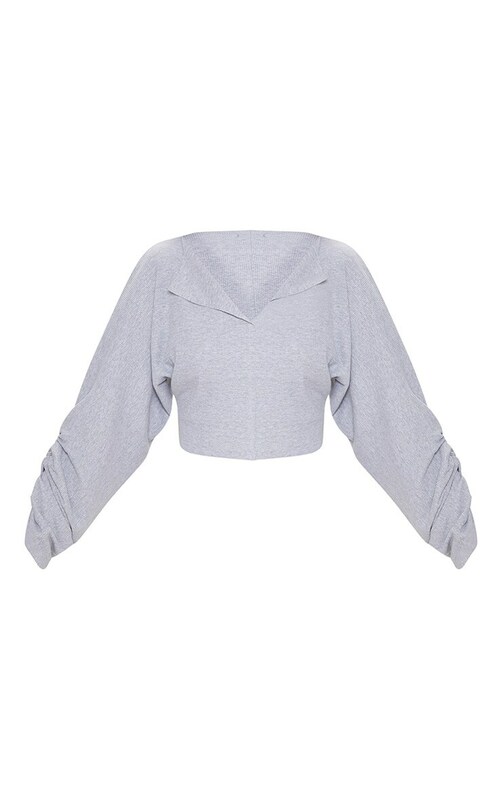 Featuring a grey ribbed material with ruched sleeves, a v-neckline and a cropped fit. 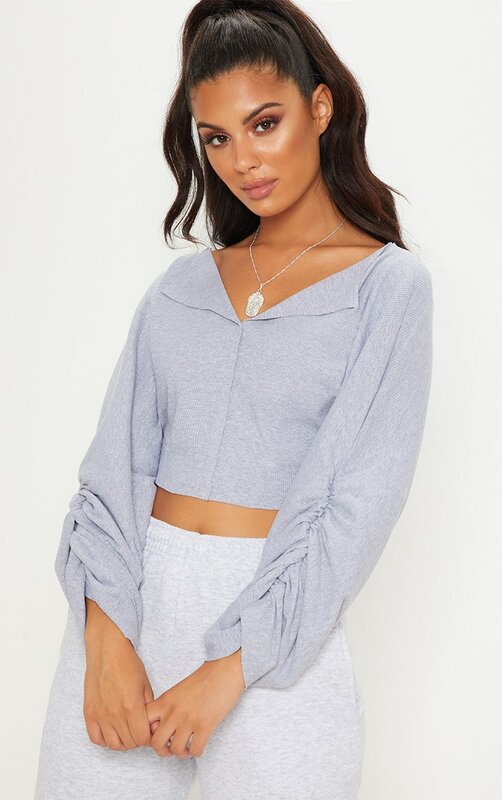 Team this sweater with joggers and chunky trainers for an off-duty look we are loving girl.